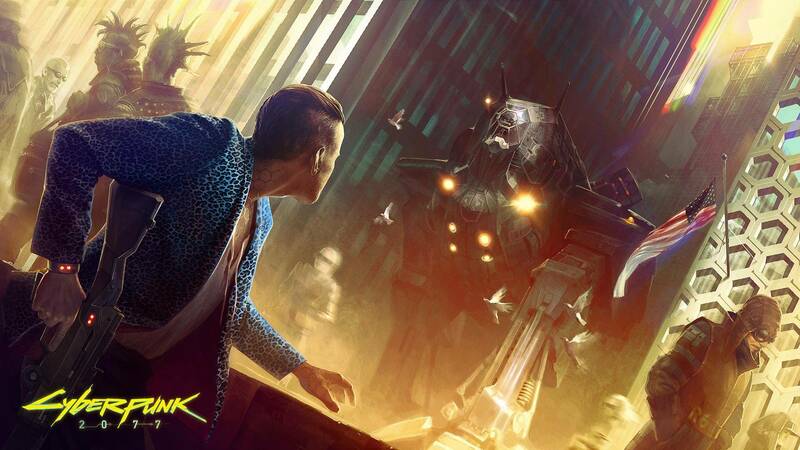 CD Projekt RED are remaining tight-lipped about Cyberpunk 2077’s presence at E3 2018. We’ve known about the existence of Cyberpunk 2077 for some time now, since its announcements a few years back, but Polish developers CD Projekt RED have been unnaturally quiet about the game ever since. Many have been suspecting that this year’s E3 would be the perfect stage to reveal proper new details on the game, but CDPR, it seems, are keeping their cards close to their chest. In a recently held teleconference about the financial results of the first quarter of the current financial year (via Reddit), the developer was asked several questions about the upcoming E3. When asked about whether Cyberpunk 2077 will be at the show, they refused to answer, while when asked if they would be present at Microsoft’s E3 press event – as they have done in the past – they remained similarly tight-lipped. In all likelihood, CD Projekt RED will indeed be showing off the highly anticipated RPG at this year’s E3. They’ve confirmed earlier that they will be attending the show, while recent speculation has hinted at an information blowout on the game in an hour-long behind-closed-doors event. Either way, we’ll know soon enough. Stay tuned to GamingBolt for more updates.